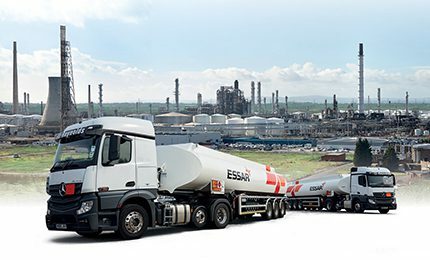 Essar Oil (UK), which owns and operates the Stanlow Refinery, has announced record figures for the first six months of the financial year ending March 31st 2018. “Essar is committed to the growth of the UK’s Oil & Gas economy – the Stanlow refinery is a core sector asset of national importance for the UK and we’re extremely happy that it has been delivering consistently robust performance,” said Prashant Ruia, Essar Oil UK’s non-executive chairman. The refinery, which produces 16% of the UK’s road transport fuel demand, processed 4.5 MMT of crude, in line with the 4.5 MMT during H1 FY17. Making good progress on its plans to invest $250 million in capex and maintenance at Stanlow in FY18, Essar Oil UK’s major investment will ramp up throughput, improve yields, drive revenues and increase annual throughput from 68 million to 75 million barrels. A focus on margin booster initiatives and cost efficiencies has seen a significant improvement in the operating and financial performance during this time. In FY15 Stanlow was reconfigured and optimised to a single train operation which increased the yield of high margin products such as gasoline and middle distillates. “To further develop the Essar Oil UK business, we continued the roll-out of our UK retail network – Essar Oil’s retail network in the UK now has 46 sites – grew the direct supply of aviation fuel to major airlines and have started leasing storage in Rotterdam, together with blending and jetty infrastructure, in order to cater to gasoline export markets directly,” said chief executive officer, S.Thangapandian.